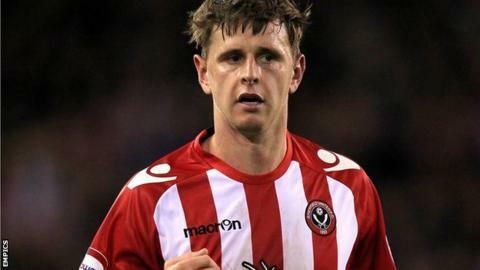 Sheffield United striker Chris Porter has agreed a new two-year deal with the Bramall Lane club. The 28-year-old notched five league goals last season as well as scoring the goal that took the Blades into the League One play-off final, where they lost to Huddersfield. He told BBC Radio Sheffield: "I'm made up and can't wait to get back into the swing of things. "It's dragged on a little bit but I'm glad to get it sorted." He added: "I didn't speak to any other clubs personally and I told my agent that I was happy here. "It was a slightly frustrating first season but I'm hoping to kick on this year." There is the option of an additional third year on the contract of the former Derby County and Motherwell man. Meanwhile, winger Jordan Chapell, 20, has agreed a new one-year deal.